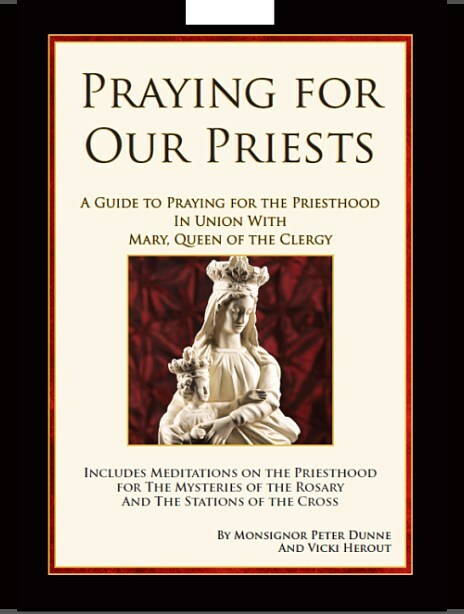 Resources to Help You Pray for Priests and Vocations! We do not have a specific charge for any of our materials. Having placed our needs into the hands of our Blessed Mother, we invite you to donate for the materials you order. Your donation allows us to keep putting these materials into the hands of people like yourself who will keep our priests covered in prayer. Msgr. Peter Dunne and Fr. 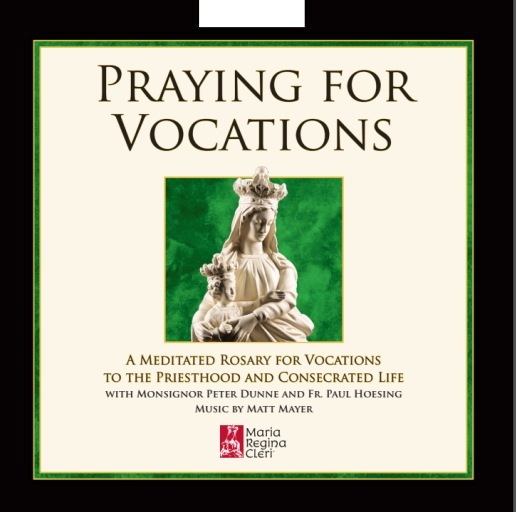 Paul Hoesing of the Archdiocese of Omaha lead you in meditation and prayer for vocations to the priesthood and consecrated life in this beautiful and moving audio Rosary. 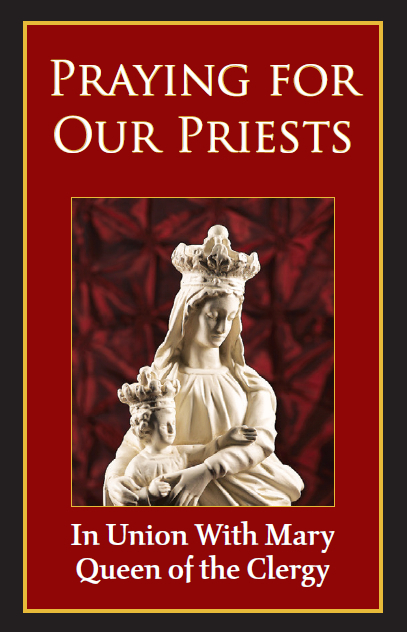 This beautiful devotional paperback contains meditations on the priesthood as they relate to the Mysteries of the Rosary and the Stations of the Cross. These prayers are meant for all to pray and have been adapted for use by individuals as well as small and large groups in a variety of settings. 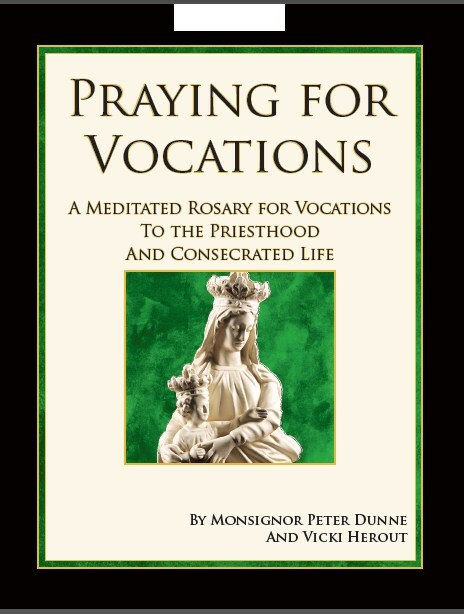 Pray the Rosary for vocations with this beautiful pocket-sized prayer book that focuses on the life of a vocation from the tiny seed in the soul to fruition in the Church. 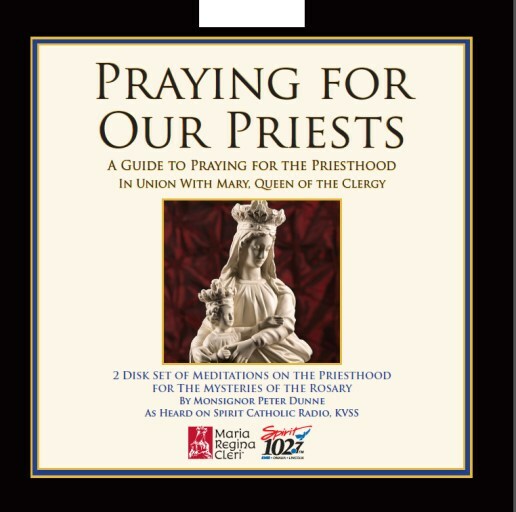 This simple prayer card is a great reminder that you can pray for priests anytime. Perfect to keep in your pocket or prayer book and hand out to all the members in your prayer group. 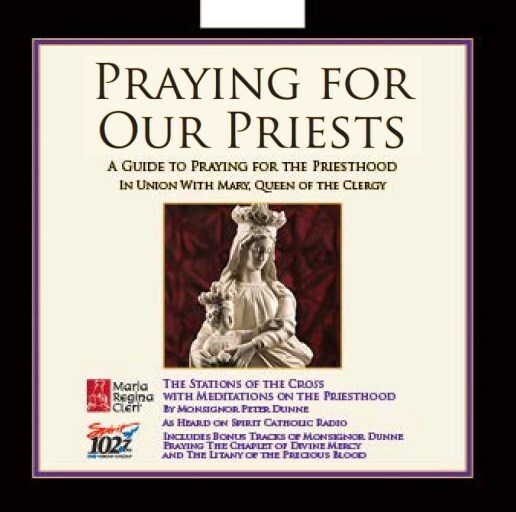 You can listen live and pray along with any of our audio and printed resources. Listen Live or Download Now! We do not charge for our materials, but rely on the generosity of those who use them. We do humbly ask that you consider a donation to help us cover our costs and ensure that we can continue to make these prayers available. 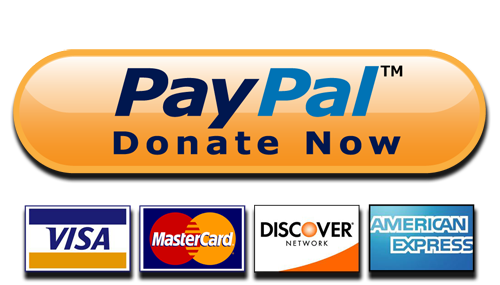 We process all donations through Paypal (you do not need an account with Paypal to make a donation).